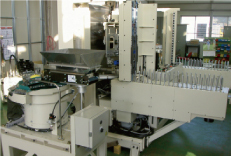 Industrial Machinery Division（Custom Manufacturing） | MAEDA SEISAKUSHO CO.,LTD. Machines for tunnel construction, public works, special vehicles for airport and railways are produced by the Machinery and Steel Division. In addition, IT equipment and automobile equipment are manufactured using clean room by this Division too. We manufacture various products to meet requests from site and customers. Ask us the possibility; we will answer with our technology and confidence. 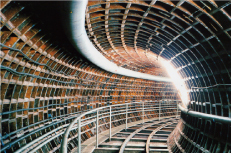 We produce steel segment for various underground tunnels for water supply, sewerage systems, rail road, road, and communication line. The segment is an economical product used for the shield method of small and medium diameter, and indispensible for shield method. 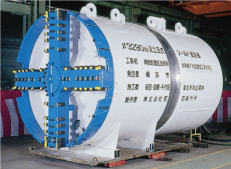 We manufacture boring machines for underground tunnels. Each one is a special order, designed and produced for the specific shape of the tunnel and geological features of the site. The cutter head for the digging tunnel is made with very tough material, and the machine body is structured with a strong shell to bear soil pressure. 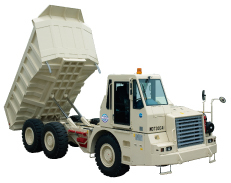 We develop, manufacture and sell articulating type heavy dump truck for transporting muck from underground mines. We offer an after-sales service as well. This eco-friendly vehicle is designed with an engine that complies with the latest emission control standards. 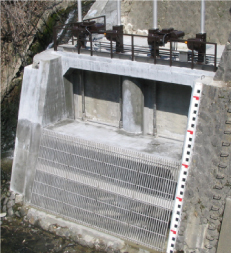 From manufacture to installation, bridge construction is our field too. 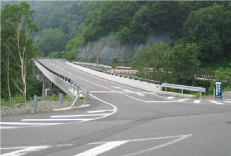 With our high welding technology, we can make all kinds of bridges. Dust collectors gather floating object such as bulky waste, twigs, wood boards and trash with rakes. We design, manufacture, and install this equipment. 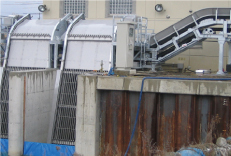 We also manufacture and install water gates and screens (for trash) for all size from large type to small type depending on the purpose. We offer an after-sales service such as inspection and maintenance after installation. Vehicle for special purpose used at airport and railroad. 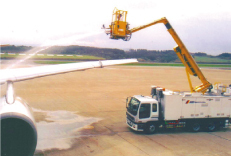 We make special vehicles to remove snow and ice attached to the airplane body by shooting warm water and chemical liquid on to the body. We also manufacture all sizes of snow removing cars which are necessary for operation of airplanes during winter. A traverser is a facility to move train cars between multiple railroads at a railway vehicle base. This is indispensable for the efficient replacement work of train cars. 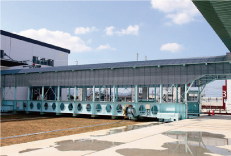 Production equipment can be designed, manufactured, and installed by Maeda too. We develop our customer's ideas and requests into automation equipment.